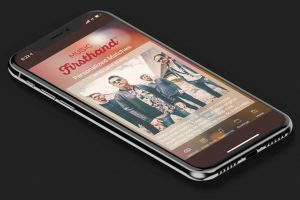 Get the app that helps you book live music based on your brand and lifestyle. Available now in Austin, TX for private beta testing. 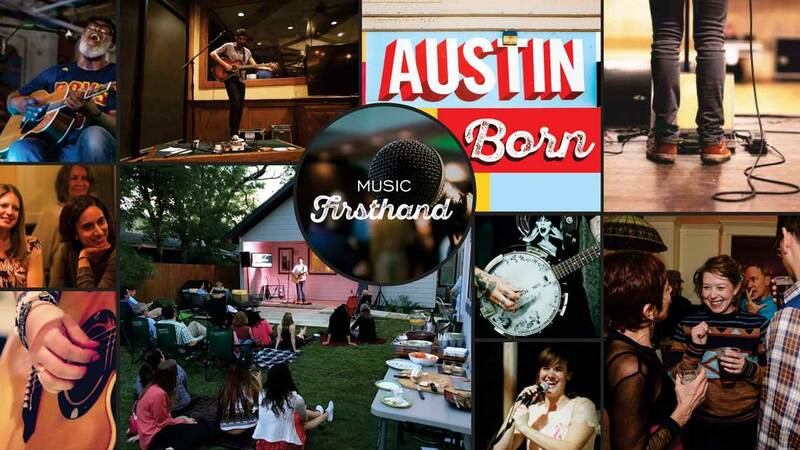 Discover the artist that fits your brand and lifestyle and fall in love with live music, again. Don't waste hours searching for the right fit. Spend seconds reviewing your customized matches. Live music is personal and it can make or break your event. Choose your match and invite them to your Green Room. Ignore requests that don't fit. Send safe and secure messages. Discover how your match engages at live events. Share your stage details on your profile. Your event should be more than just another gig. Make it an experience. 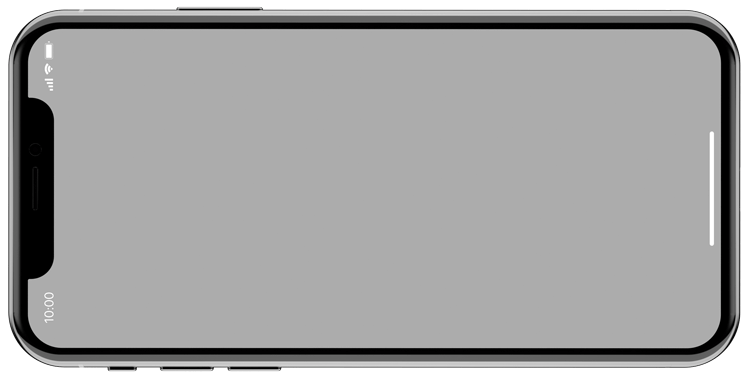 Share your stage details so there are no surprises. 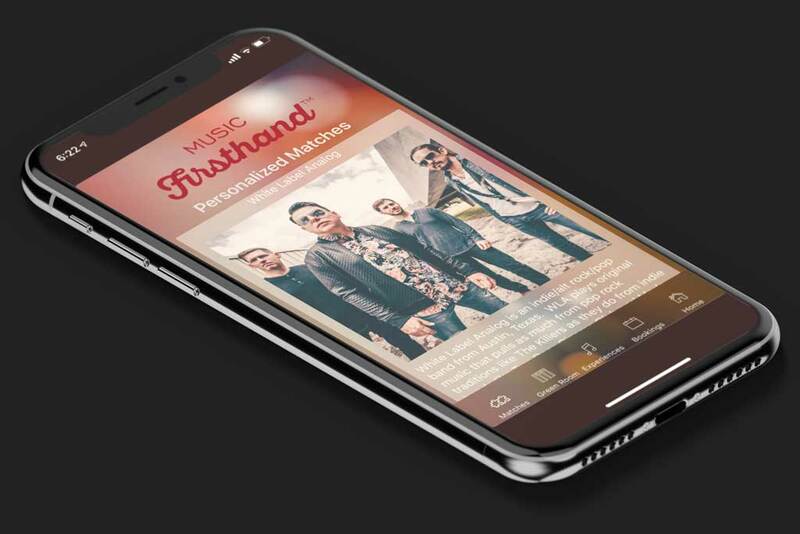 Quickly review availability and rates, then book live music instantly. Share your events and manage your experiences all from one place. Create your own live music experience. 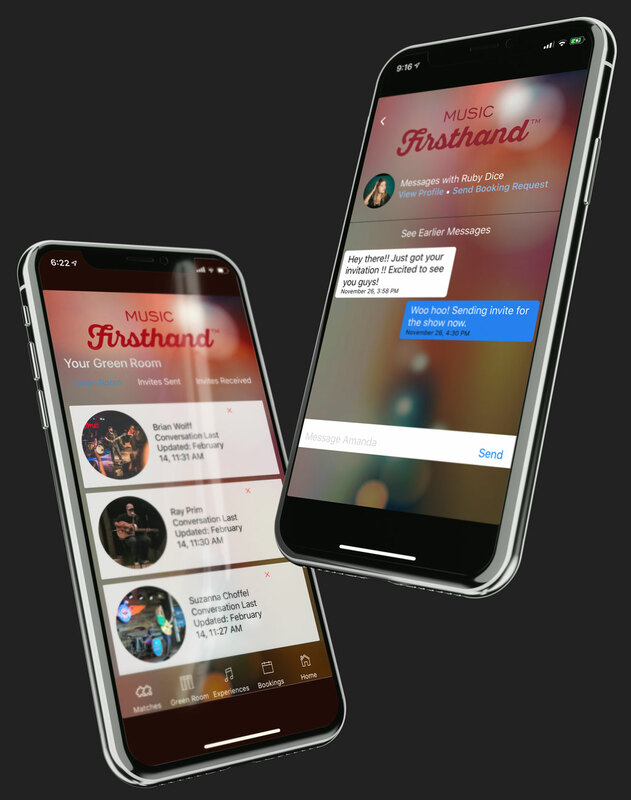 Download the Music Firsthand app and join a community of fans and artists that care about music. 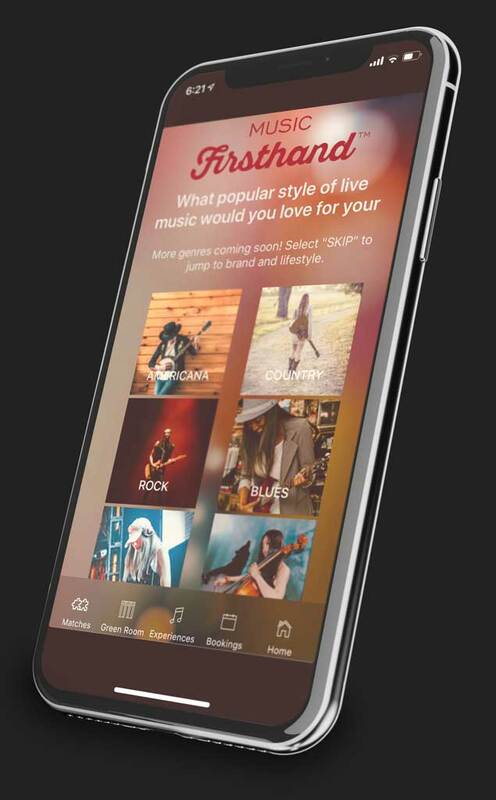 Download the Music Firsthand app and create your own live music experience. © 2019 Firsthand Collective, Inc.